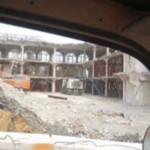 When asked to remove an indoor spa pool on the first floor of a building in the City, we gladly accepted the challenge to give our Operators a chance to show off their expertise. 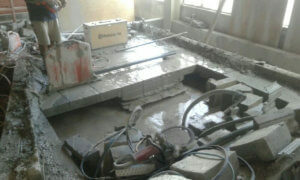 Using high frequency wall and hand saws, the 6m x 4m spa pool were cut into manageable blocks for removal. 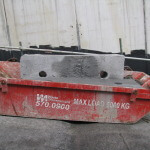 The blocks were lowered to the ground floor and loaded into hard fill bins to be taken off site. Call Sharp Concrete Cutters and Drillers Ltd today on 0800 232 816 to discuss your project requirements. 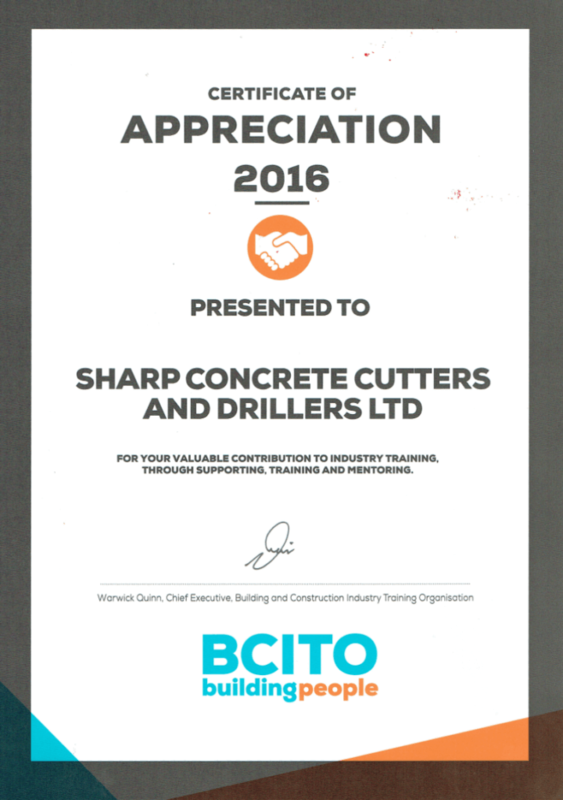 Having established a relationship with the Building and Construction Industry Training Organisation, Sharp Concrete Cutters and Drillers Ltd recently received a BCITO Certificate of Appreciation 2016. This certificate acknowledges the valuable contribution Sharp Concrete Cutters and Drillers Ltd has to industry training, through supporting, training and mentoring. It is the goal of Sharp Concrete Cutters and Drillers Ltd to have all of its operators complete a BCITO related qualification, a goal they are well on their way to achieving. 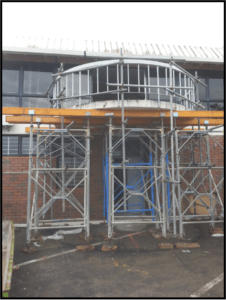 Recently we were asked to remove a balcony at a Browns Bay location. This involved shore loading the balcony for removal and then cutting the balcony into sections. The sections were then lowered to the ground before being loaded into hard fill bins to be taken off site. Our operators needed to use a full range of Personal Protective Equipment (PPE) including harnesses and fall restraint equipment. Call Sharp Concrete Cutters and Drillers today on 0800 232 816 today to discuss your project requirements. 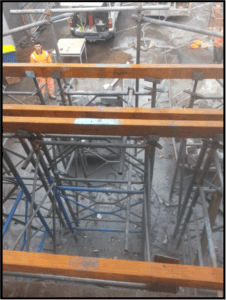 Recently, partnering with Bracewell Construction, Sharp Concrete Cutters and Drillers Ltd completed some deep drilling work in Auckland’s Exmouth Street. “This was a last minute request and we were able to get some extra-long drill bits manufactured. This allowed us to complete the job well before any other sub-contractor was even available,” says Operations Manager Gordon Neville. 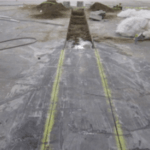 The project involved stitch drilling a series of 1.4 metre deep holes of diametres between 50 – 100mm. 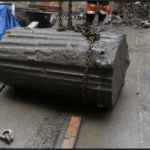 This was to remove two very large sections of concrete, making way for building foundations. Concrete core drilling techniques are used when tradespeople require precise, circular holes drilled. Any hole, from 12mm to 500mm diameter, can be achieved to make openings for plumbing, electrical, telecommunications. Stitch drilling is a process where we drill a series of overlapping holes in order to make openings. 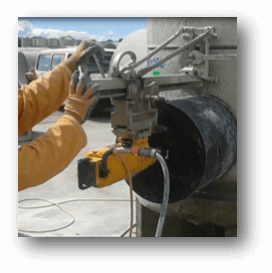 Sharp Concrete Cutters and Drillers Ltd was established in the early 2000’s bringing together a handful of highly experienced concrete cutting and drilling technicians. 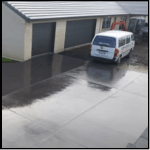 Since then, Sharp Concrete Cutters and Drillers Ltd have provided concrete cutting and drilling services on thousands of projects not only across Auckland but across the country. 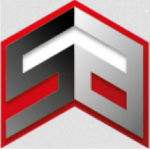 Sharp Concrete Cutters and Drillers Ltd are committed to professionalism and accordingly are members of national and international organisations to ensure customers that their technicians are part of a wider body of cutters and drillers. This helps them to stay on the cutting edge when it comes to technology and developments within the concrete cutting and drilling industry. 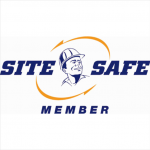 Sharp Concrete Cutters and Drillers Ltd are committed to safety. Members of SiteSafe, operators take part in regular safety courses. Operators have also completed specialised training enabling them to work in a variety of situations, including in confined spaces, and working at heights. A copy of our Health and Safety Manual, Task Analysis, and Hazard Identification processes are available on request. These processes are followed prior to the commencement of every job, ensuring all relevant hazards are identified, eliminated or minimised. 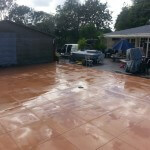 Often, when customers have new concrete driveways or patio’s laid, they want a more artistic finish. 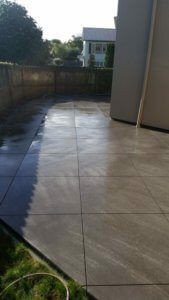 This can be accomplished by exposing the aggregate, or mixing coloured oxide in with the concrete prior to placing. Another way to achieve a more aesthetic finish, customers ask that we apply decorative cutting. 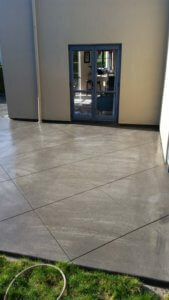 Decorative cutting is a strategic series of wider cuts that form a pattern in newly laid concrete. 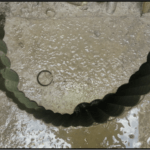 Decorative cutting is always in addition to standard expansion cutting and is usually performed several weeks after initial expansion cutting. 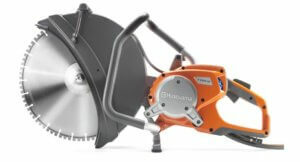 Here is a recent example of decorative cutting from Sharp Concrete Cutters and Drillers Ltd. If you are interested in how our decorative cutting service can help you achieve your desired outcome, please – contact us today on toll free 0800 232 816. The placing of new concrete slabs (garage, house, path, patio, etc) requires control joints to be cut within a few days of placing. 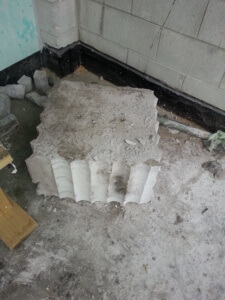 This prevents “natural cracking” as the concrete expands over time. 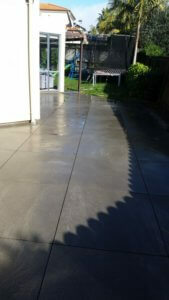 A step up from expansion cutting, a number of customers are after a more artistic effect, especially when the concrete they have laid is on public display. Decorative cutting usually involves a wider cut and allows for artistic patterns at the customer’s discretion. 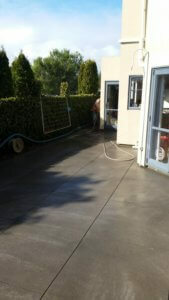 Often a project will call for the removal of a large area of concrete. 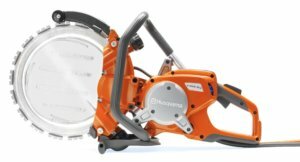 We offer a range of deep cutting solutions to make that possible. 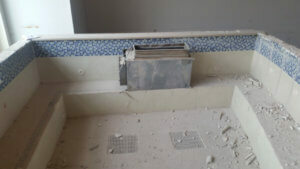 Similar to cutting for demolition, this controlled approach to removal often requires deep cutting over a large area. Can we do that? Yes, we can! 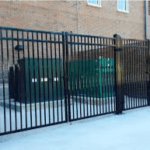 Responding to advances in technology, customers often require wide cuts for the laying of a loop for the installation of a controlled gate that responds to pressure from vehicles in an area of concrete. 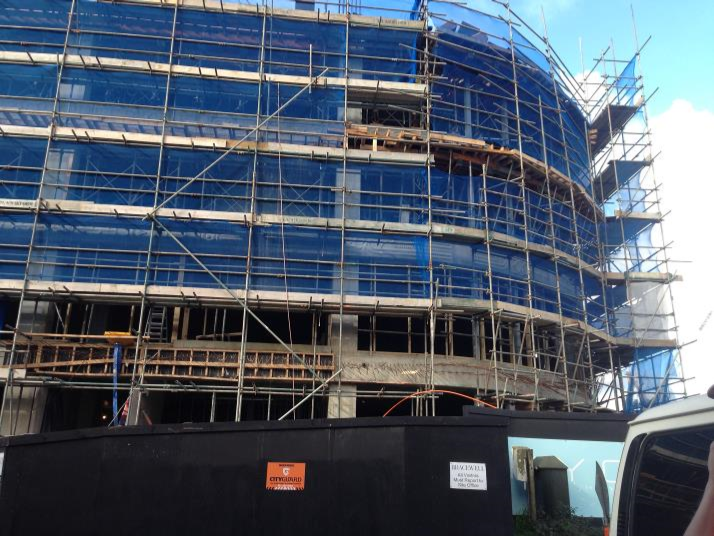 Call Sharp Concrete Cutters and Drillers Ltd today on 0800 232 816 to discuss your project. 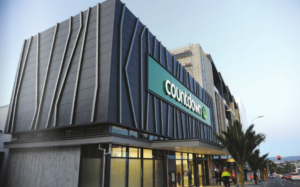 In partnership with Watts and Hughes Construction, Sharp Concrete Cutters and Drillers undertook work at the newly established retail complex, Oak Junction Takanini. This new retail area will do well in serving the growing needs of the Takanini and Addison areas as leases have been issued to major food chains and a service station. 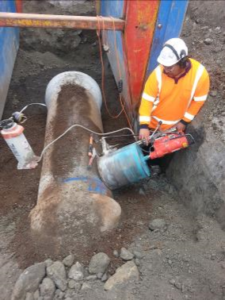 Sharp Concrete Cutters and Drillers provided concrete cutting and drilling services to this project as an extension of its business relationship with Watts and Hughes Construction. For testimonials from leading project managers, check out our testimonials page. Call Sharp Concrete Cutters and Drillers today on freephone 0800 232 816 to discuss your project. 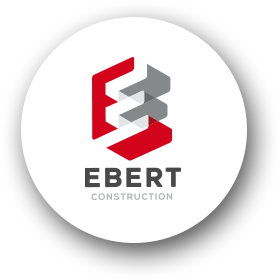 In partnership with Ebert Construction, Sharp Concrete Cutters and Drillers recently completed works on the newly opened Cider Building development. 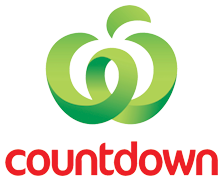 “The former DYC Vinegar site on Crummer Road, Pollen Street, and Williamson Avenue in Auckland is something entirely different for Countdown” says Adrian Walker, Countdown General Manager (Property). 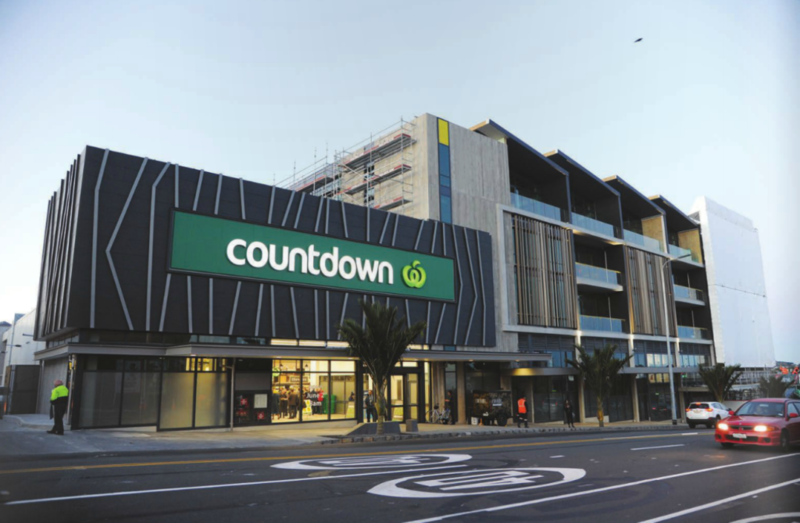 Ebert Construction is the main contractor on the $95 million Cider Building project which will be home to 14,000 sqm of Countdown supermarket and speciality retail and office space. The new supermarket has created 100 new jobs and was officially opened by the Honorable Nikki Kay who says the new store is a welcome addition to the area. Call Sharp Concrete Cutters and Drillers today on 0800 232 816 to discuss how our concrete cutting and drilling service can help you to achieve your project goals. Our equipment runs on a variety of power sources including single and three phase, and hydraulic, to prevent fumes. We provide a complete slurry control service. Our operators carry industrial wet vacuums and slurry tanks. We also have a dedicated slurry truck, capable of removing 2500 litres of slurry. It also holds 1000 of water and has a high-pressure water blasting unit. 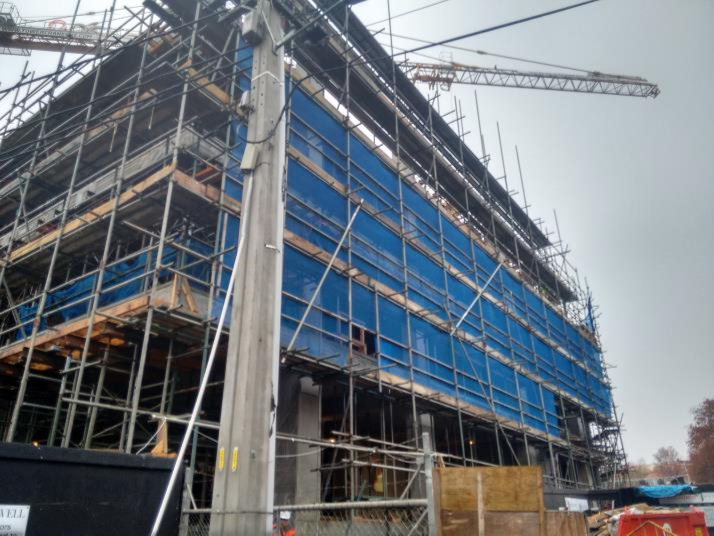 Partnering with Plumbco and Bracewell Construction Sharp Concrete Cutters and Drillers is involved in a project located on Khyber Pass Road in Grafton. We have been involved in this project since its inception, supplying concrete cutting and drilling services at this Khyber Pass Road project. 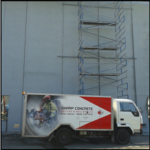 Call Sharp Concrete Cutters and Drillers today on 0800 232 816 to discuss your project. This is Ralph. He is drilling a 400mm hole in the side of a pipe. 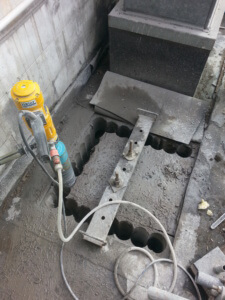 This process involved bolting on a hydrostress drill rig to the concrete required drilling a 400mm hole. 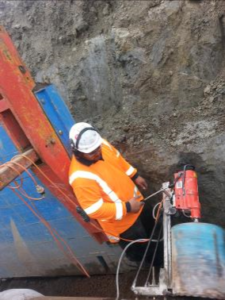 Due to the location of the hole required, the drill rig was mounted on an angle as can be seen in the above images. Ralph works for Sharp Concrete Cutters and Drillers. 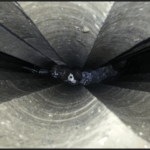 He is a professional concrete driller and has specialised training in order to determine how the hole ought to be drilled, and what equipment was required to do the job. 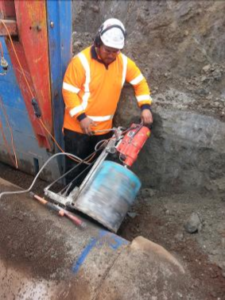 Ralph is using a Weka SR38 drill motor as well as a 400mm core drill from Holer Diamond Tools. 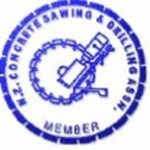 Core drilling techniques are used when tradespeople require precise, circular holes drilled. 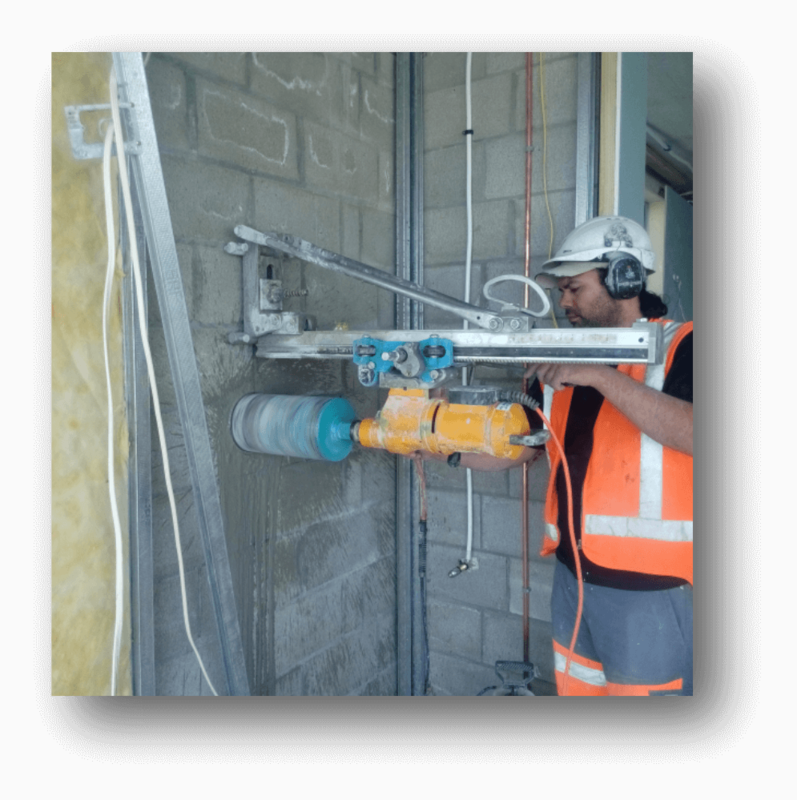 Sharp Concrete Cutters and Drillers proudly partners with Holer Diamond Tools to provide our customers with the latest in concrete core drilling technology using diamond matrices developed especially for the New Zealand construction industry.